A former estate house on the banks of the Usk is the setting for this simple spacious kitchen. Pencil beading and traditional glazing bars add a touch of detail. Curves were used to soften the feel of this kitchen. They are a feature of the house it sits in, a former farmhouse, with much grander Georgian additions. The brief for this Oak kitchen was to provide plenty of storage, and an area for food preparation that could also be a focal point for socialising. The Clients also wanted to provide access to the utilty room in a way that made it feel connected to the kitchen. 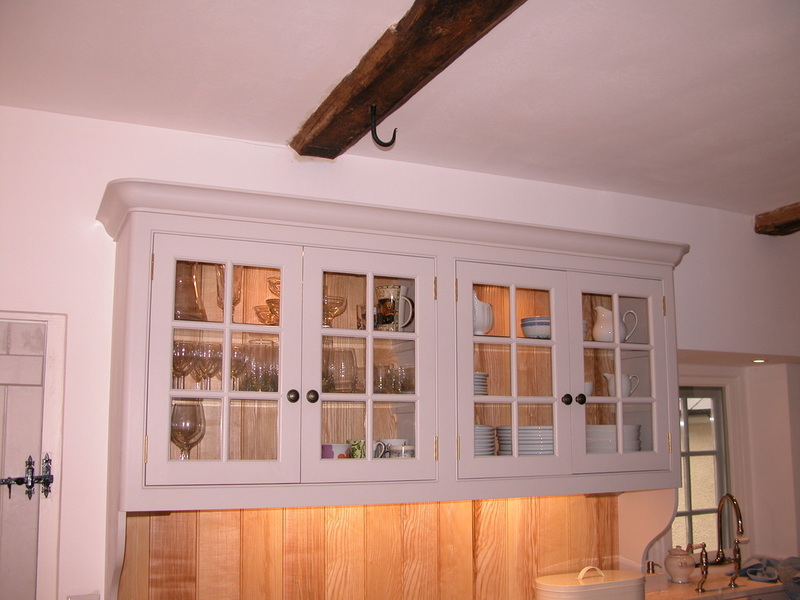 The whole kitchen also had to feel at home in a sixteenth century farmhouse. The solution included the large central island unit and an opening in the 'wall' of units with curved doors to lead the eye into the utility room. The doors and drawer fronts are made of locally felled Pippy oak. This farmhouse kitchen has a table and side board of reclaimed oak, with a painted sink unit and pan cupboard next to the stove. Next door the utility room houses a range of fitted units in reclaimed pine with a mix of marble and locally sourced Ash worktops. 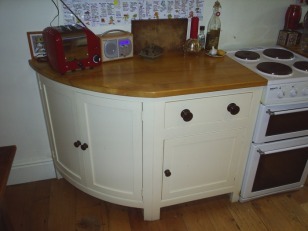 A pair of reclaimed oak doors turns an alcove into a useful cupboard. Traditional features make this kitchen suit its surroundings in a Georgian house. 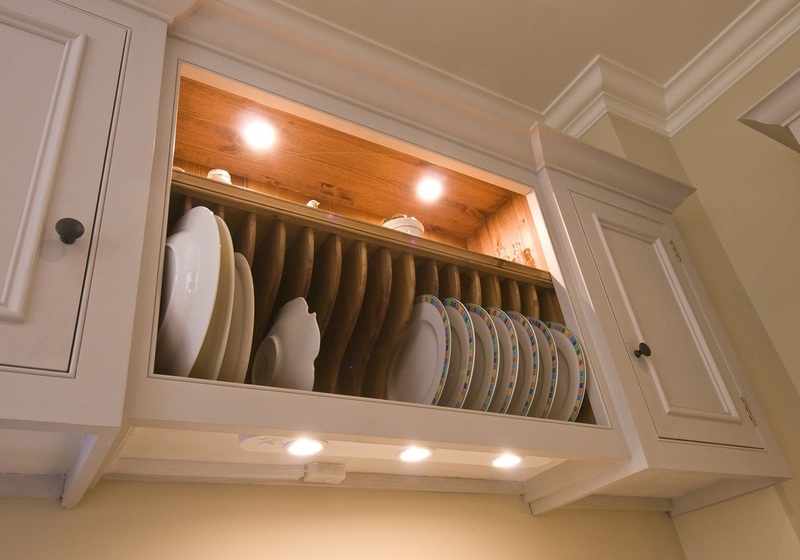 The large food cupboard houses a fridge and microwave, whilst a ceramic hob and extractor are incorporated into the fitted units. 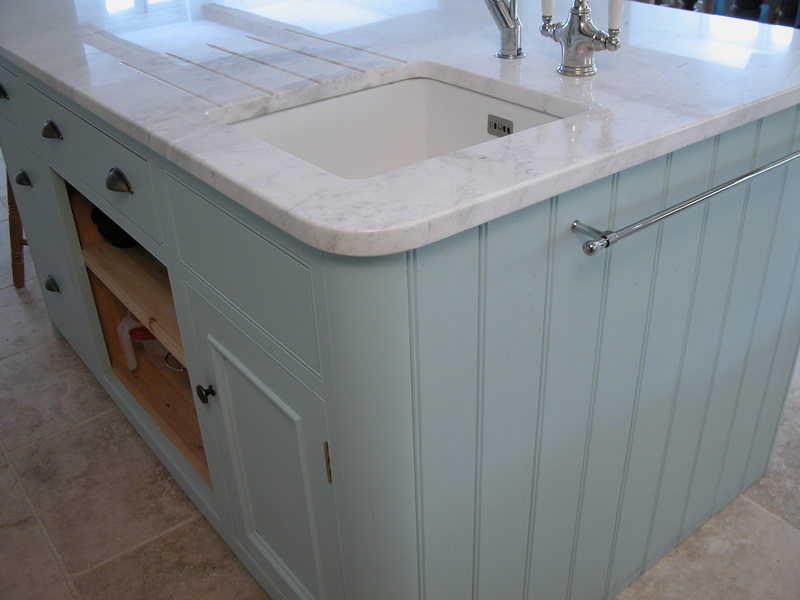 A traditional sink unit with four panel doors made entirely of reclaimed pine. 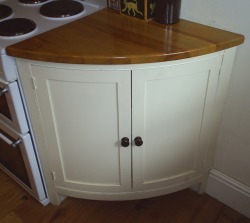 These curved cuboards provided valuable storage in a small kitchen. 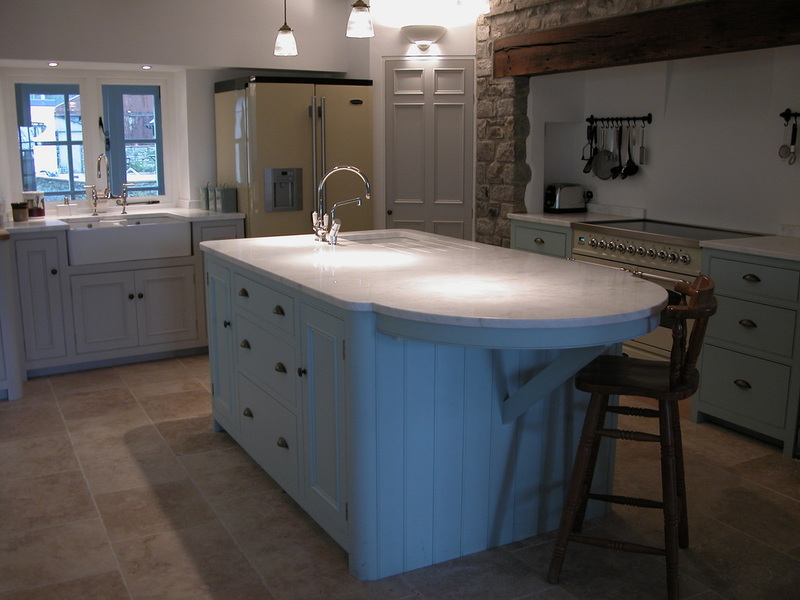 The worktops are oiled English Ash, adding character to already eyecatching pieces of furniture.